Take heart, fans of lyrical beauty and melodic charm! 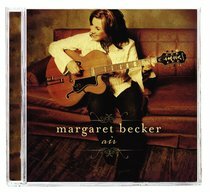 Margaret Becker is back with an album full of all-new songs that offer a breath of fresh 'air'. One long-time listener describes it as "New thoughts from an old friend".